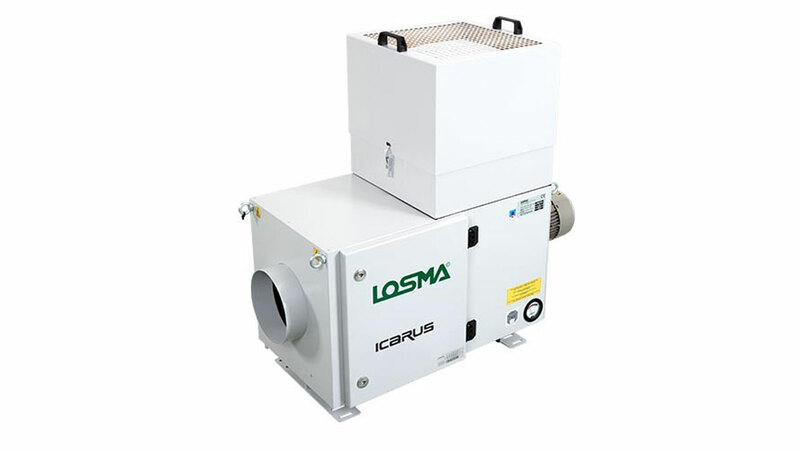 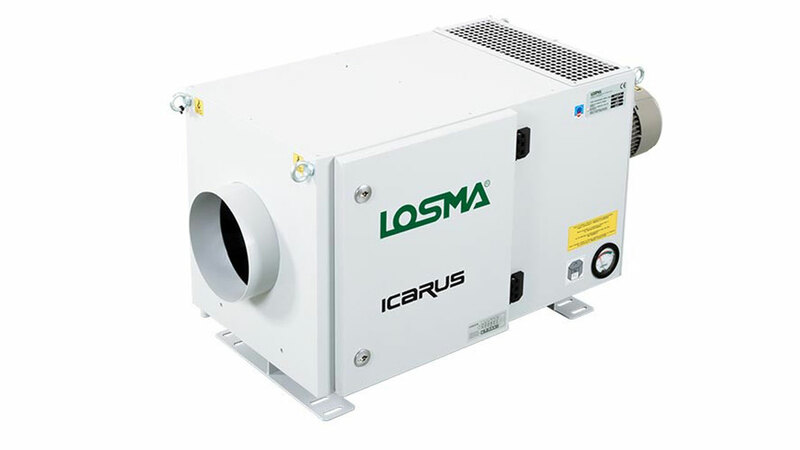 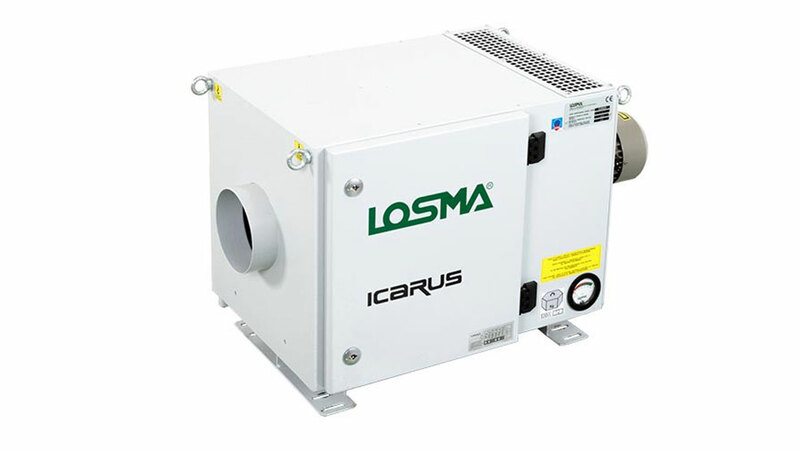 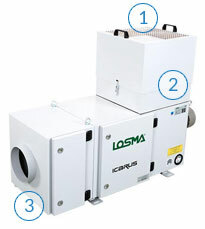 Icarus is a static exhaust fan for filtration of air containing oil mists, micro-mists and smokes, generated from coolants (both emulsion or neat oil). 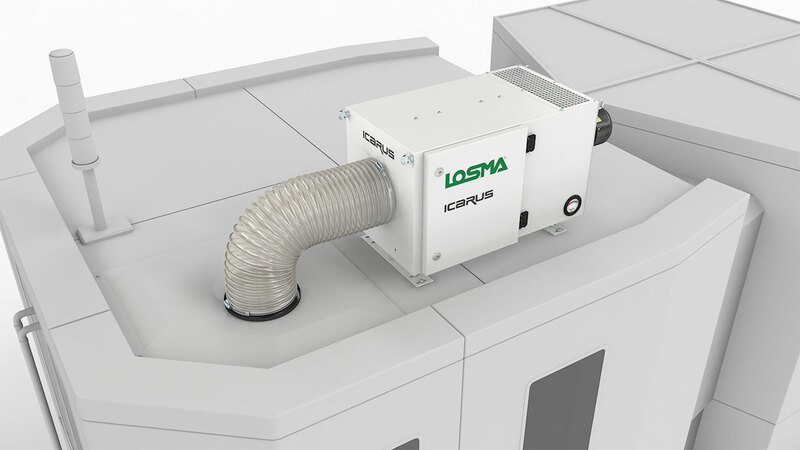 It is designed to be mounted on the machine tools. 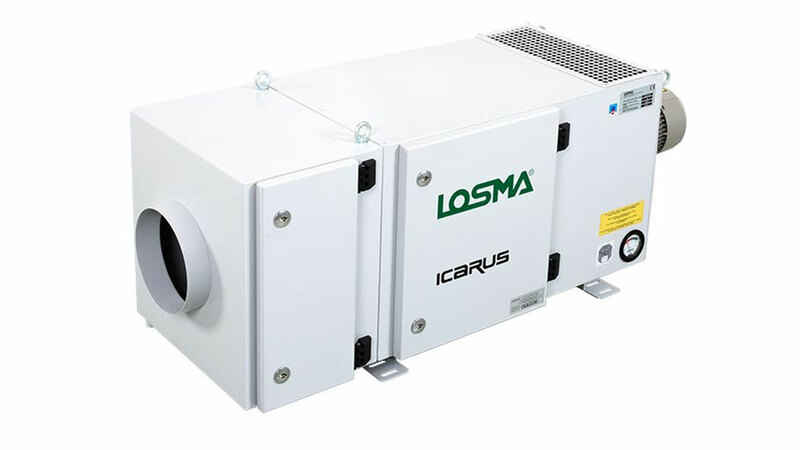 Icarus is available in three sizes with flowrate from 600 to 2.000 m3/h with different filtration efficiency combination, up to performances of 99,97%. 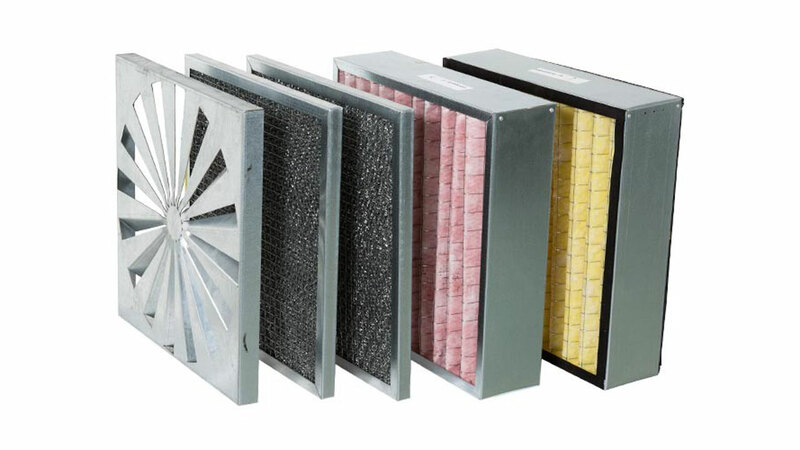 Air passes initially through a special deflector (B), whose function is to distribute uniformly the air onto filter’s surface, assuring a proper use of the whole useful contact area of the filter. 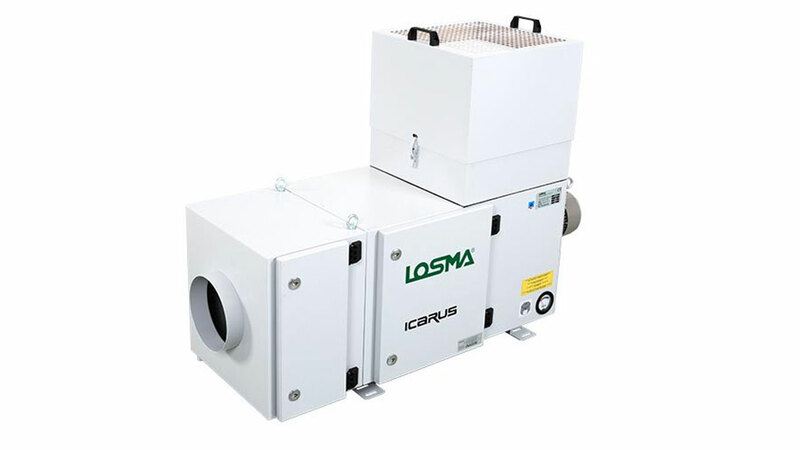 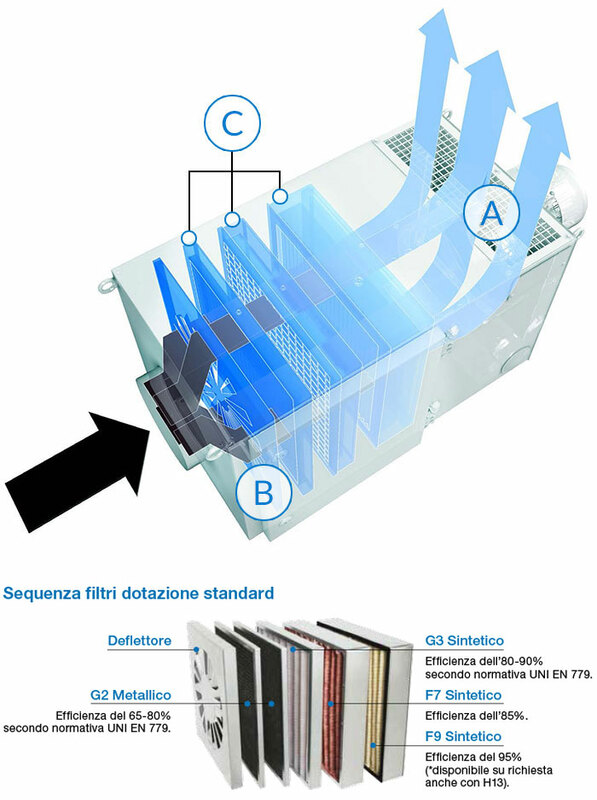 Then the air crosses a series of filter with increasing efficiency (C) up to more than 95% with polluted particles measuring less than micron. 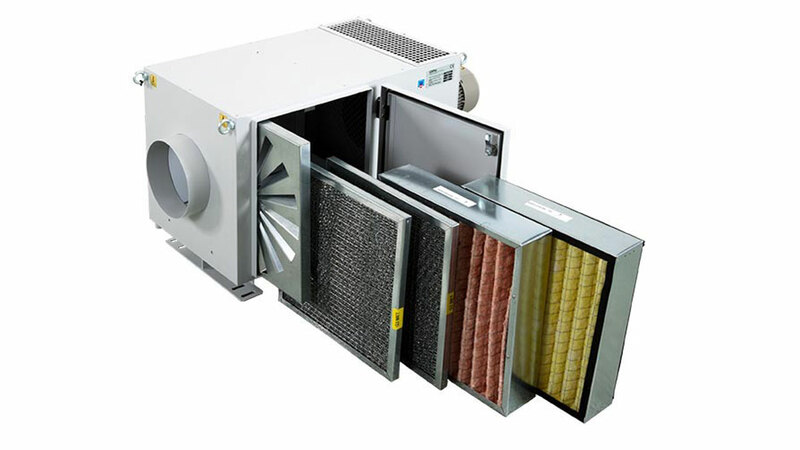 Efficiency can reach 99,97% with use of a HEPA post-filter following EN 1822 regulation.